Eloquently stated! Personally, I whole-heartedly endeavor to weave chocolate delights into my life as much as I can, especially if it comes in the form of dark chocolate! And I’m always game to try new brands, which is why it was such a treat to be introduced to PACARI Ecuadorian Premium Organic Chocolate at the Food and Wine Conference a few weeks ago. I even walked away with a bag of Organic Chocolate Drops Raw 70%. 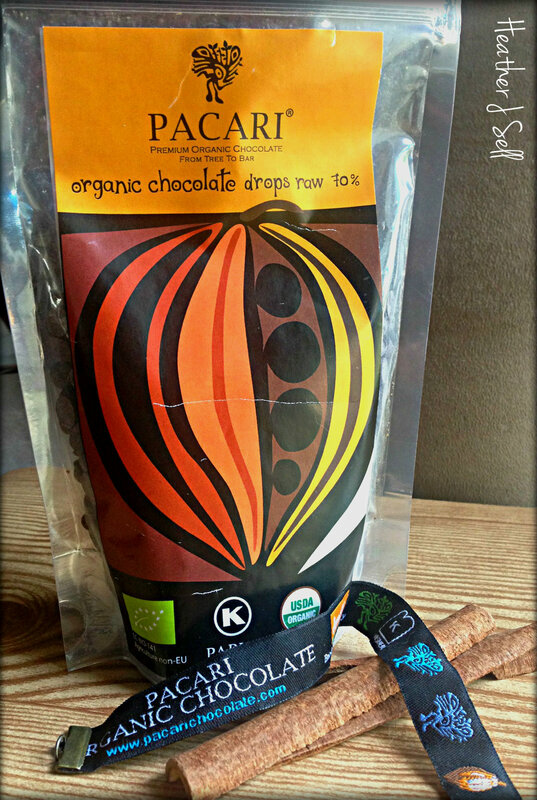 In keeping with my “Brand Inspired” blog series, I decided to whip up a delicious recipe with the PACARI chocolate drops. 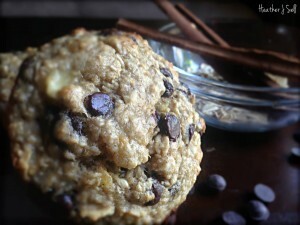 I baked up these flavorful Banana Oat Greek Yogurt Muffins with Chocolate Chips from blogger Amanda at Running With Spoons. My daughter downed ¾ of the muffin batch, while I polished off the last ¼. The sweetness from the bananas and the dulcet, rich tones from the chocolate paired in blissful harmony, leaving my taste buds to swoon in bluesy syncopated rhythm. Need more chocolatey inspiration? Be sure to also check out Frugal Foodie Mama’s decadent Cherry Chocolate Clafoutis recipe using PACARI chocolate. Melting and drizzling the chocolate into the base and on the sides of a martini glass is decadent way to enjoy a chocolate martini. Do you PACARI? I sure do! 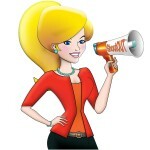 **Disclosure: I was not compensated or sponsored for this post in any way. I enjoyed meeting the folks from PACARI, learning the history of their Ecuadorian chocolate, and wanted to put the bag of PACARI chips received as a sample to tasty use. The opinions and tastebud reactions are completely my own. 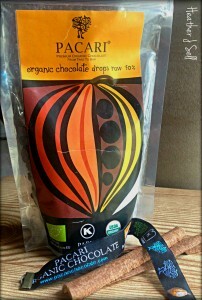 This entry was posted in Blog, To Try and tagged #sofwcon, chocolate, dessert, food, FWCon, Pacari, pacari premium organic chocolate, recipe. Bookmark the permalink. One Response to Do you PACARI?